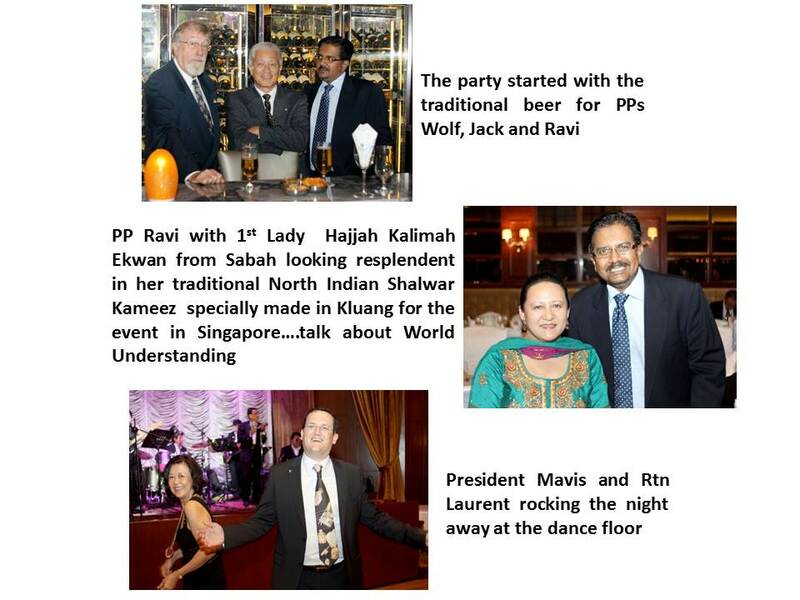 It was evening of great fellowship and fun as more than 150 Rotarians gathered at the Tanglin Club to celebrate World Understanding and Peace Day 2012. This day marks the 1st meeting of a Rotary Club in Chicago 107 years ago. RC Queenstown had 10 members, including our Hon Member Massimiliano attending the event, and our President Mavis was one of the main organisers with other Club Presidents from Singapore. PDG Dr Wu Dar Ching spoke about the significance of the event that is celebrated the world over and DG Zainie reminded us what a great organisation that we belong to and that we have a responsibility to make it even better.